The Le Marché aux Fleurs has a broad spread of impressive flowers, trees, and plants. The market has a unique touch to it that makes it a favorite amongst floral artists. 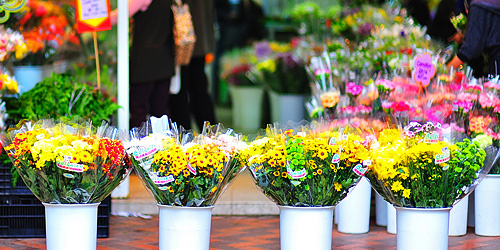 This flower market has flowers for every season, and in addition to that, it also has many floristry accessories. This market has been in existence for around 200 years now and is therefore also a tourist destination in the city of Paris. Cuenca is a city with a rich past spanning back to the Spanish colonial era. The city is also home to more than 50 cathedrals, and in this backdrop, the flower market stands out as a beautiful contrast. This market is overflowing with dozens of orchids, giant roses, and arum lilies. The Bloemenmarkt is located in the city of Amsterdam between Muntplein and Koningsplein which is in the city’s southern canal belt. The Bloemenmarkt is the only floating flower market in the world, and it includes 15 florists, garden shops, and a range of souvenir gifts. Campo de’ Fiori translates into “field of flowers.” The market got its name during the middle ages when the entire region was a meadow of wildflowers and vegetables. It is a market with a sense of vibrancy like none other. This market has been in existence for more than 150 years and is also one of the biggest in the continent. This is one of the busiest markets on valentines day as the market is filled with roses of all colors, carnations, poppies, tulips, proteas, etc. 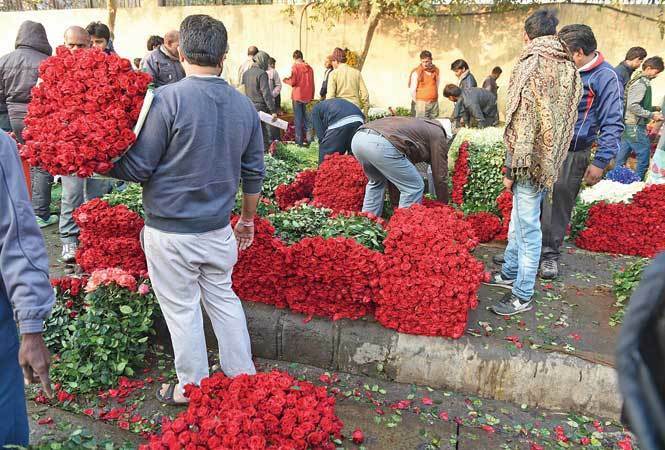 The Phool Mandi is one of the most magnificent flower markets in the whole of Asia. It sells flowers ranging from lilies to the favorite orange marigold flower. The vendors here begin trade early in the morning and wrap up around 9 am. The Pak Khlong Talat or the Bangkok Flower market is located in one of Bangkok’s most touristy areas near the Temple of the reclining Buddha. 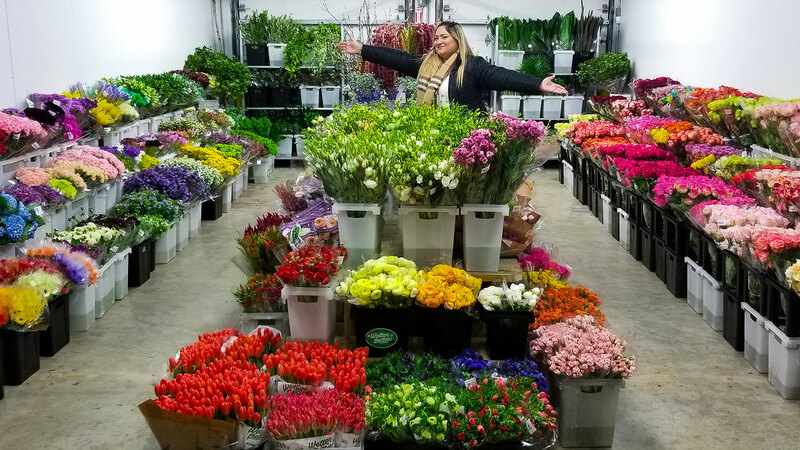 It is the best of the region’s wholesale and retail flower markets with flowers ranging from roses to lilies to much more. This market is Shanghai’s best. It is a large indoor multistory building with flowers and plants. The price ranges depending upon the uniqueness and size of the flowers. Dangwa Flower Market, a.k.a the Bulaklakang Maynila is a fresh flower market located in the Sampaloc area of Manila, in the Philippines. This market consists of several small sole-proprietorship stalls and street vendors. 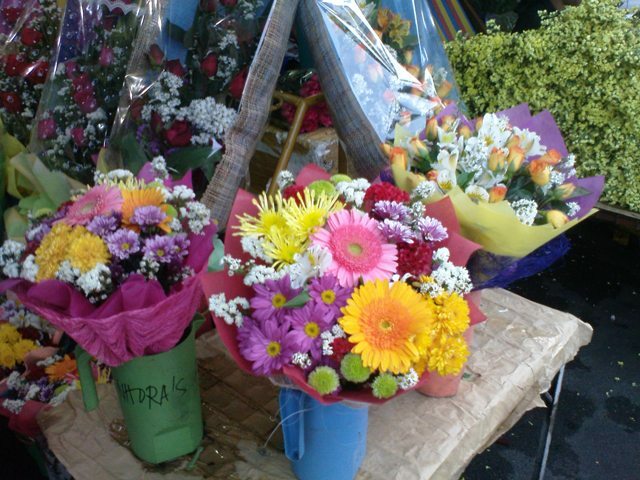 The flowers sold here are 50 to 100 percent cheaper than what is sold in Metro Manila’s flower shops. This is a hotspot for those interested in floral designing in Sydney. The assortment of flowers in this market is astounding. This market opens early morning every day except on Sundays when it is closed.